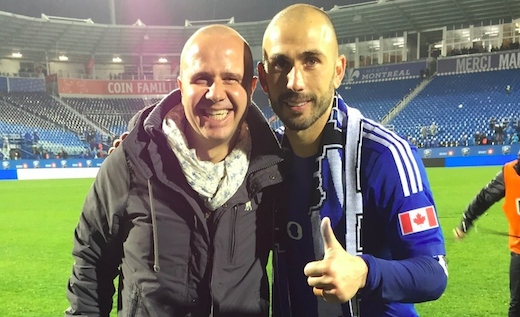 Giuseppe Pezzano has been consulting for more than six years for Impact Montreal and the team’s Presidente, Joey Saputo. Most recently Mr Pezzano has been collaborating on Saputo’s Bologna project, by setting up the technical staff which will run the club for the next few years. Pezzano has placed the renowned Pantaleo Corvino as the technical manager of the first team and youth development department. The new management team will allow FC Bologna to reestablish itself in the Serie A, and give the club a strong foundation from which to develop it’s youth department growing talented players, similar to the structure that OSA’s long term partner, ACF Fiorentina, has in place. In fact, the ACF youth program was established under Pantaleo Corvino, who worked together with Vincenzo Vergine. A new rule has been established in Italy requiring clubs to have at least 4 in house raised players from their own youth development program, and youth identification and development is one of Pantaleo Corvino’s fortes!